A year and a half ago, when I started researching blogs before creating this one, I would find one blog which would lead me to the next, and that one would lead me to another one, and it would go on like this until I had seen/read/researched too many to remember. Almost every blog has a links section, with links to other blogs, which really surprised me at first. Since I come from a very competitive line of work, I was delighted to see that in the blogosphere, the rules were quite different. In light of this camaraderie and the upcoming Jewish holiday, Shavout (the celebration of the harvest) we decided to join forces with two other popular Israeli bloggers, Maya Marom from Bezek Alim  and Roni de Leede from Home in Style  (both blogs are only in Hebrew). We met at Roni’s beautiful, pastoral house, where we cooked and photographed three recipes, one from each blog. 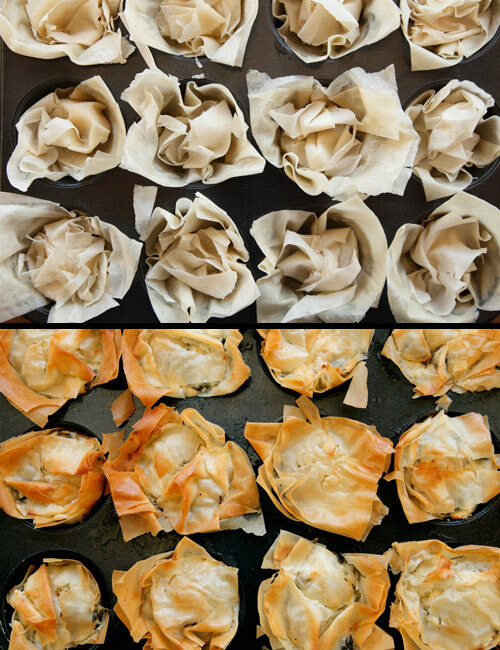 On Shavuot it is customary to prepare dairy-oriented dishes, so I decided to make Banitsa, a Bulgarian filo pastry. The cool thing about this recipe is that besides that it’s really easy to make, you actually use the leftover filo dough that cracks or falls off during preparation to stuff the pastry itself. It is also not such a fattening dish, like most other traditional Shavuot pastries. I usually make the Banitsa in one large serving dish, but there is something about the personal ones, prepared in muffin tins, which make this dish just a bit more festive. Some people may be turned off by working with filo dough because it seems difficult, but in fact it is actually pretty easy to work with. 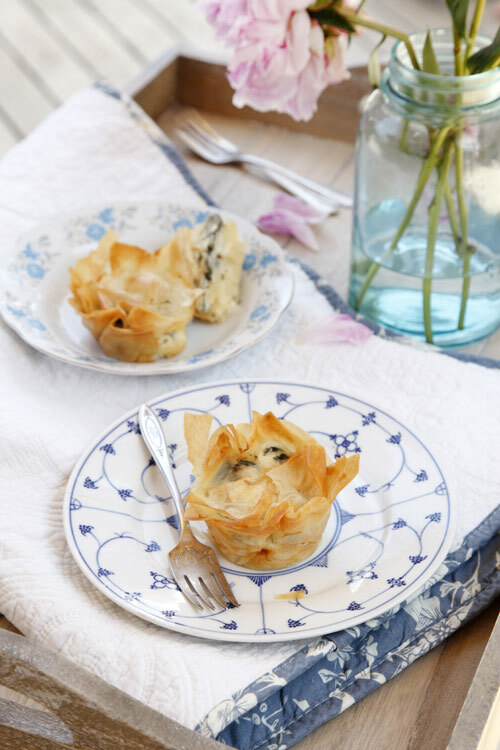 There is no fat source in filo dough, and therefore has the tendency to dry quickly, so always keep it covered while you are not working with it. The dough needs to be buttered or oiled before using it for this dish, and the nice thing about that is you have the control of how much butter/oil you want to use. 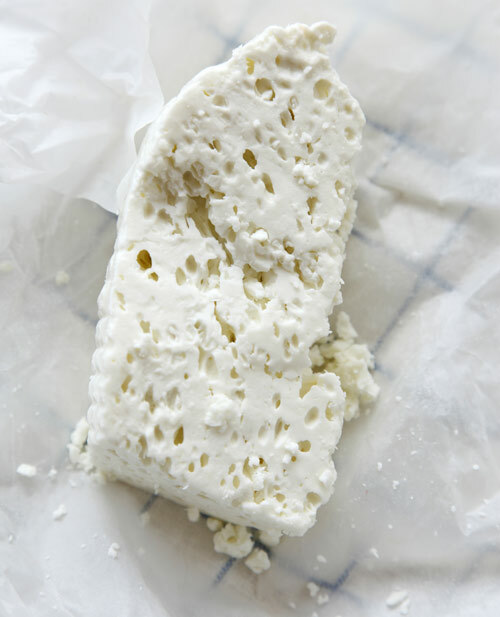 For this dish I use a fabulous Georgian cheese known as Imeruli cheese. 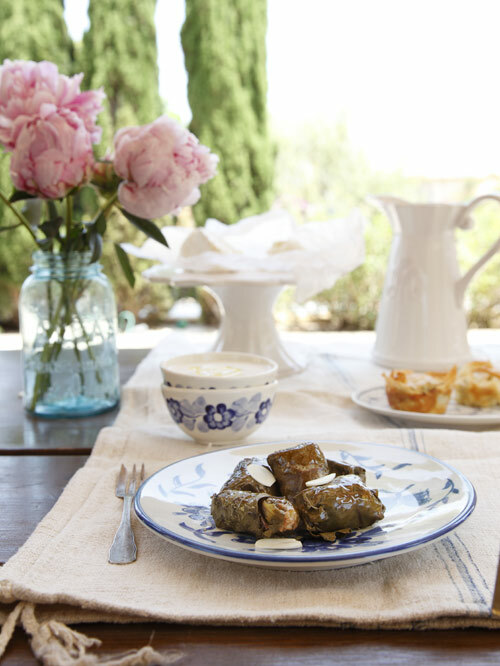 It’s salty flavor is similar to feta, low in fat content and melts when heated and is a great cheese to use for this dish. I buy the cheese at the Carmel Market in Tel Aviv. Work relatively fast when working with filo, and when you are not working with it, keep it covered as it will dry up quickly. You mix things up according to your taste when it comes to the cheese in this dish-you can replace the Imeruli cheese with Kashkaval, Mozzarella, Provolone, or Parmesan. Don’t omit the feta, it’s what gives the dish its salty flavor. Do not use fat free yogurt, or the mix will come out to liquidy. 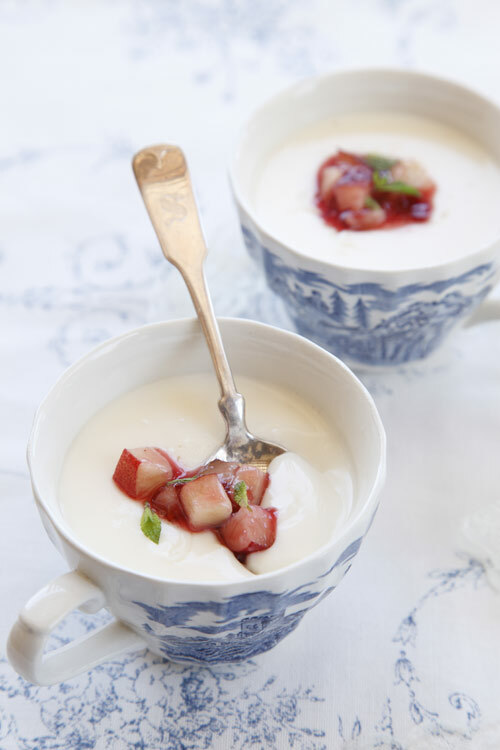 A good plain Greek yogurt is recommended. If you are baking in muffin tins, wait about 5 minutes after removing from oven and then carefully remove each pastry and place on a wire rack to cool. This will keep the crisp texture of the pastry. Serve warm or reheat before serving, otherwise it will be soggy. Preheat oven to 350ºF. Butter the muffin tin (or baking pan). Take one sheet of filo dough and brush with melted butter. Place another sheet on top of the buttered sheet and brush with melted butter. If using the muffin tin then cut the sheet into 4 inch squares and place into the tin. If using a regular baking pan, simply place dough into buttered pan. In a large bowl, mix all of the filling ingredients together until well combined. Evenly pour a third of the filling into the pan. Take a small handful of filo dough and crumble it in the palm of your hand (like you would a piece of scrap paper to throw in the trash), and place over the filling. Fill the rest of the pan with the remaining filling. Take another sheet of filo dough and brush with melted butter. Place another sheet on top of the buttered sheet and brush with melted butter. Cut into squares and cover each pastry. Copyright © 2010 Matkonation. All rights reserved.